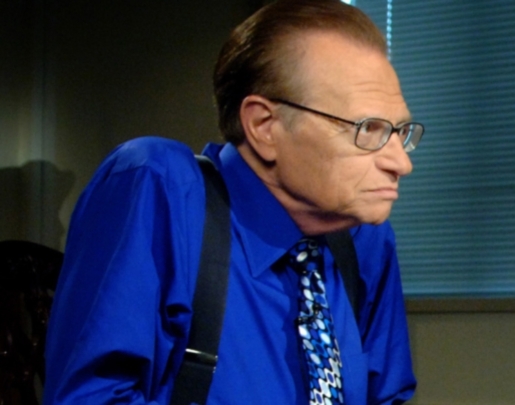 Larry King Live has been on the air for as long as I can remember, and for most of my life, Larry King’s particular brand of television interview has been on the air. The show’s been going on for 25 years, which means Larry’s gone through a whole lot of pairs of suspenders in that time. Now, according to the 76-year-old King himself, it’s time to wrap it up, with Larry King Live to end its 25-year run on CNN in the fall. Larry’s reason for ending the show? A desire to spend more time with his family and an attempt to reconcile with his 50-year-old wife, Shawn, after some reported marital issues on both sides. “I’m looking forward to the future and what my next chapter will bring, but for now it’s time to hang up my nightly suspenders,” said King in his trademark self-deprecating style. Here’s hoping for a good life outside of TV for Larry (who will continue to host and produce specials for CNN). And hopefully, he won’t hang up his suspenders for good, since he needs them to keep his pants off the ground. No matter what you might say about his personal life or his trademark style, he had some great interviews in his time.